Kosciusko County Sheriff’s Deputies and emergency personnel responded today at 2:17 p.m. to the location of CR 100W, near the intersection of CR 1300S. 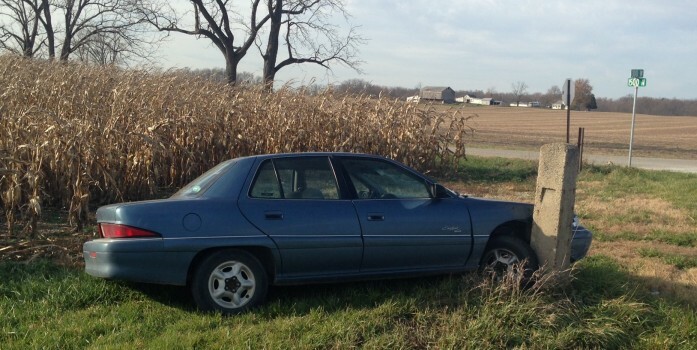 Emergency responders arrived and located 1996 Buick Skylark that had struck concrete post. The driver, identified as Franklin P. Rice, 30, Silver Lake, was initially located unconscious. Life-Med EMS, North Manchester, immediately requested the Samaritan helicopter to respond to the scene. Rice was airlifted to Parkview Regional Medical Center, Fort Wayne, in very serious condition with internal injuries. Preliminary investigations from deputies at the scene has determined that Rice was northbound on CR 100W when a tire on his vehicle failed and blew-out. Rice’s vehicle purportedly went off the roadway, striking a bridge guardrail then onto the shoulder area before impacting the concrete post. 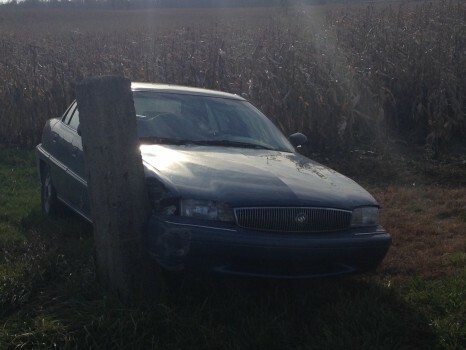 The crash is still under investigation by the Kosciusko County Sheriff’s Department. INITIAL: Authorities are currently responding to an accident near the intersection of CR 1300S and CR 100W. Samaritan Air Ambulance has been called to the scene. One victim was reportedly transported due to injuries sustained in the crash.